We learned last spring that 1) Beef jumps the fence to get to greener pastures, and 2) Bessie and Beef don’t get out when we move them often so their green grass looks as good as the grass on the other side of the fence. 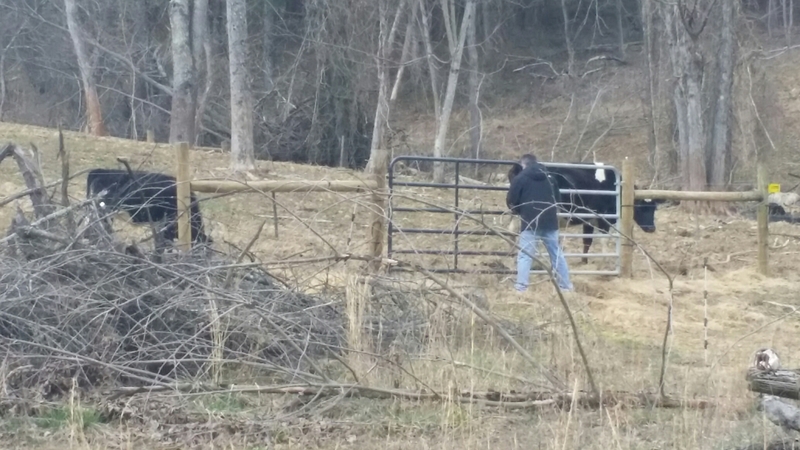 Sunday afternoon, we decided to fence a temporary section of grass for the cattle and let them out on it. Bessie and Beef watched intently; they knew what those posts and wire meant! 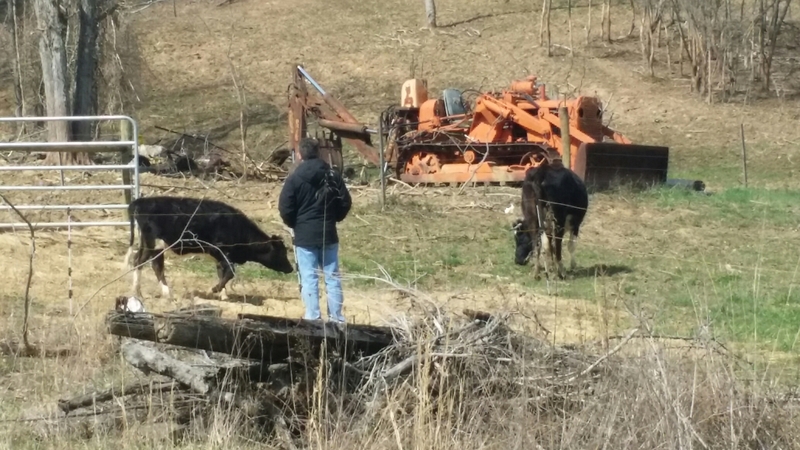 It didn’t take long to set up (Ted’s Mom and nephew stopped by for a visit, so Brodie was the runner back and forth to the barn for poles and poly wire as needed), and then Ted opened the gate so they could get in. …and she was hooked! They all lazily and leisurely strolled around on the grass, finding all the new tender bits that they love the most, and within 24 hours, the grass looked like it had been mowed, and Ted moved them back into the pasture. 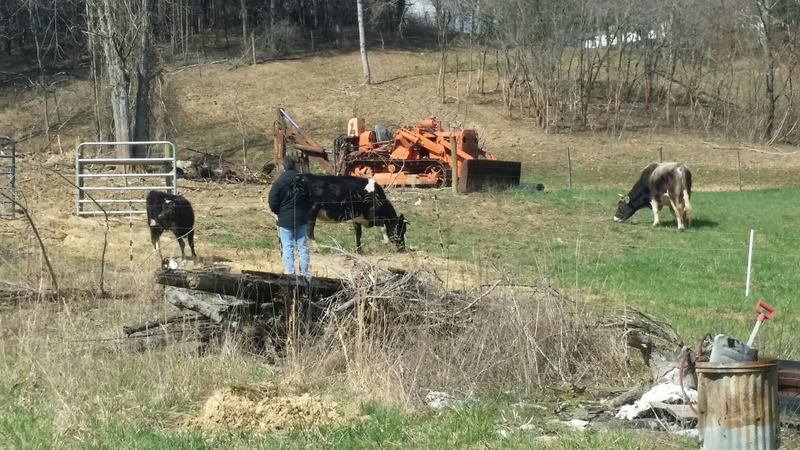 Now we just need to put up a temporary fence for them in another area so we can seed a big portion of the pasture. 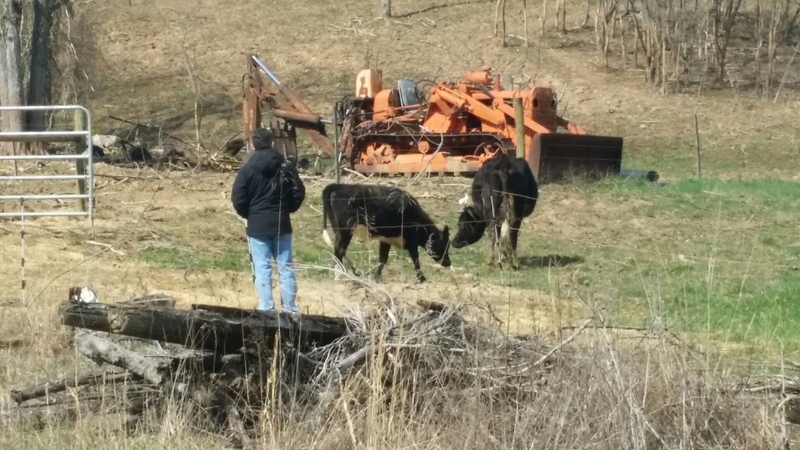 We need at least an acre per cow, and our goal is five acres total so we can rotational graze them approximately a week per acre; this would allow the pastures four weeks of rest between each grazing. This is good for the grass and allows it to be at its most nutritious when the cattle eat it, and it breaks the parasite cycle naturally because then any eggs that hatch can’t attach to the cattle and die off without a host during that four week period. Every year, we get further along on our farming journey, and this is the next thing we need to do!